Look Beyond Alcohol and Texting: Health Affects Driving Too! It is well-known that drunk driving and texting while driving cause accidents. Many public announcements have been made in an effort to reduce the number of drivers under the influence and to diminish cell phone use while driving; laws exist and those caught are punished. It is not as commonly thought that health effects driving too. At Traffic School Online we realize that poor health conditions can also cause crashes. Here are some health issues to be aware of before you or a loved one gets behind the wheel. When you get your permit and renew your license you take an eye test. Vision is obviously an important part of driving. You need to clearly see the road, signs, lights, other vehicles and pedestrians. Therefore, if vision changes occur it is important to stay off the road until they are corrected. Maybe it is something simple like a need for new prescription glasses. Many older adults find their vision worsens and they need cataract surgery. 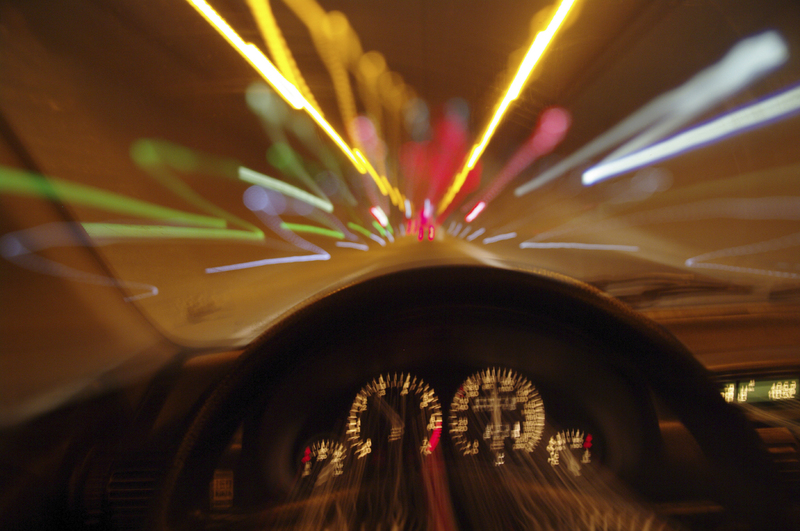 Other common vision issues that can affect driving are glaucoma and macular degeneration. If you have any concerns about your own vision of the vision of a loved one, consult an eye doctor. Side effects of diabetes include feeling sleepy, dizzy or confused. All three are harmful when driving. In extreme cases, someone with diabetes can lose consciousness or have a seizure. Making sure diabetes is well controlled to continue driving safely. Any concern that blood sugar is too high or too low needs to be addressed immediately. Until the issue is resolved, driving should be avoided. Seizures pose an obvious threat to driving. Someone experiencing a seizure would no longer be in control of the vehicle. According to the Epilepsy Foundation, the states have different regulations when it comes to drivers that have a history of seizures. In most cases, they require a certain amount of time to pass after a seizure before the driver is allowed behind the wheel again. If the state requires a 1 year time period that means the driver must be seizure free for an entire year before driving. People with Alzheimer's disease are not only prone to getting lost, but they also tend to get confused which can be an issue when driving. This can lead to them to press the gas when they meant to brake or going through a red light instead of stopping. Unfortunately, many dementia patients do not realize that they are no longer safe drivers so family intervention may be required to keep them off the road. Although most people with arthritis are still able to safely drive those with severe symptoms may not be able to continue driving. If motion is limited it may be difficult to apply the brake and gas pedals. Turning the steering wheel smoothly may not be possible. If movement of the hands, feet or neck is limited due to arthritis, it may not be wise to continue operating a vehicle. Although it may seem like driving shouldn't be impacted by the common cold or a flu you may want to reconsider. It is hard to focus on the road when you are excessively sneezing or feeling sleepy due to a fever. If you have taken any over-the-counter medications to combat the symptoms of a cold or flu, that may make you even more drowsy or dizzy. If you are ill, it is best to stay home and rest until you are well enough to resume normal activities. Before you get in the car to drive, consider your health. Yes, it is wise to abstain from drinking and driving as well as texting and driving. It is also wise to stay out of the driver seat if your health is affected in a way that may impair your ability to drive safely. If you are worried about a loved one driving in poor health, talk to them about your concerns and help keep the roads safe.